A state-of-the-art women's hospital that will support the highest quality of care for women at all stages of life. Open on October 20, 2007, New Prentice Women's Hospital supports patients and caregivers alike. The hospital enables a unified and comprehensive approach to healthcare for women while responding to the increasing demand for high quality care. 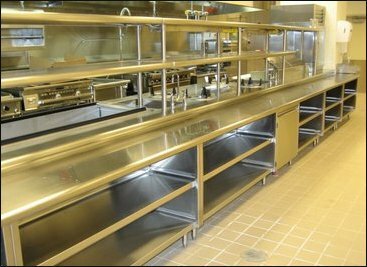 PFDI had the pleasure of developing and designing a majority of the lower concourse which includes food storage (dry & refrigerated), hot & cold production kitchen, catering kitchen, room service staging, waste accumulation and dishwashing. Other areas of the building designed by PFDI include the third floor conference center pantry, third floor catering set-up area, and food galleys on the patients floors.